is about Thomas Henry (Tom) Wintringham (1898-1949), and the new book about him. He was man-of-action, journalist, military historian, soldier, Marxist and author. He believed in Socialism and a Socialist Britain, even if it took a bloody revolution to get there! But he was also lover, poet, husband, father and friend. Hugh Purcell is now a writer and broadcaster specialising in twentieth century history. He was the Executive Producer of several BBC TV series such as "The Roads To War" (with Charles Wheeler) and "Cinememo", a history of the century through home movies, and he has written BBC radio histories including the obituary of Oswald Mosley. He was President of MAP TV, a Euro Media project encouraging films on European history, for which he was made a Chevalier de l'Ordre des Arts et des Lettres. He now writes biographies and is a frequent contributor to History Today and History magazines. Tom had strong views on many things, and wrote with humour and passion. He wrote books and articles about war and history and politics. His letters and poems range over love and pain, courage, disappointment and anger. His family preserved some of these documents, in a "Tom Wintringham archive", now in the Liddell Hart Centre for Military Archives, Kings College, London University. The new biography describes the life of this complex, charismatic, much-loved man, with his ideas, his convictions, his friends and family, his enemies, his achievements, his hopes, and his mistakes. All this is illustrated with many quotations, both from Tom's own writing, and from contemporary writing about him. Why did Tom Wintringham join the Communist Party? He worked for the Party, wrote for them, went to jail for them. Why did they never quite trust him? When the Party threw him out, why did he fight to stay in? 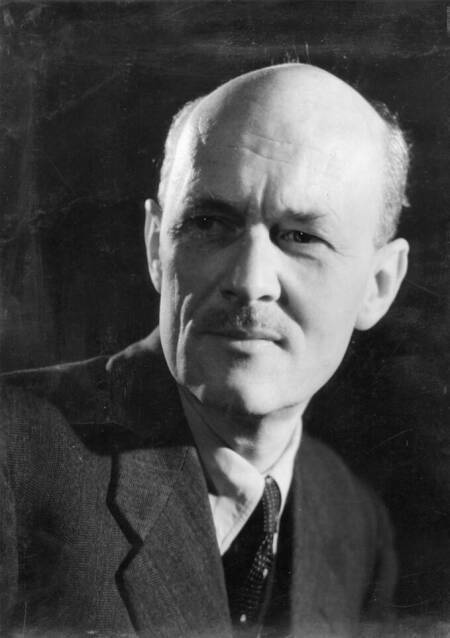 Tom and Sir Richard Acland founded the Common Wealth Party. Several of their candidates were elected Members of Parliament. But then everything went wrong, and the party was dissolved. American Kitty Bowler (later Tom Wintringham's second wife) describes how she first met Tom in wartime Barcelona, in September 1936. I wandered over to the cafe Rambla feeling desolate and forlorn. Like the story book waif, who peeks through frosted panes at the happy families gathered round the fireside, I eyed the little group at a corner table. Shy but desperate I approached. All conversation stopped. Blankly and coldly they looked at me as only the English can. Then a soft-voiced bald man touched my arm: "You must join us". Relaxing gradually I realised I was talking to a gifted conversationalist, cultured, intelligent, witty. I liked this man's mind and the amusing twist he would give a phrase. But I was puzzled. This quiet literary individual wasn't my idea of a military man. "That's Tom Wintringham", I was told, "the author of a book on Marxist military strategy. He's a big shot in the English Communist Party, but he's an old sweetie." --- quoted from The Last English Revolutionary. of books by Tom Wintringham. Guerrilla Warfare. By Yank Levy. Penguin 1941, said to be written for Yank by Tom.